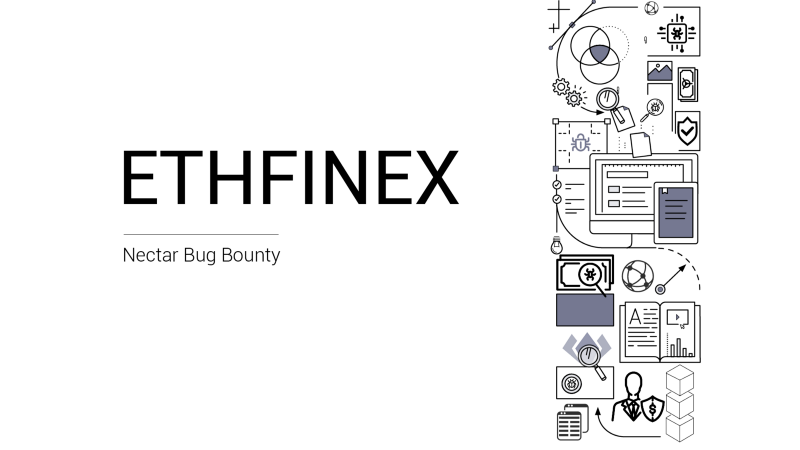 As we approach the launch of Ethfinex and the Nectar token, we are now running an open bug bounty program for the Ethereum community to analyse our token contracts. The Nectar token contracts have been published on Github and are available for review here. Details about token functionality and design rationale can be found in our last blog post, which lays out the Nectar tokens development roadmap, as well as the Nectar token whitepaper. The bounty will follow the standard Ethereum Foundation bug bounty severity classifications, with the ultimate severity up to the discretion of the Ethfinex team. Start trading on Ethfinex now. Check out the Ethfinex Trustless Developer Guide for a walkthrough on how to locally interact with the Ethfinex order books.